England manager Gareth Southgate admitted his World Cup celebrations will be more muted for the remainder of the tournament after dislocating his shoulder while out running on Wednesday. Southgate leapt from the bench in joy as Harry Kane scored an injury-time winner to get England's campaign off to a winning start against Tunisia on Monday. 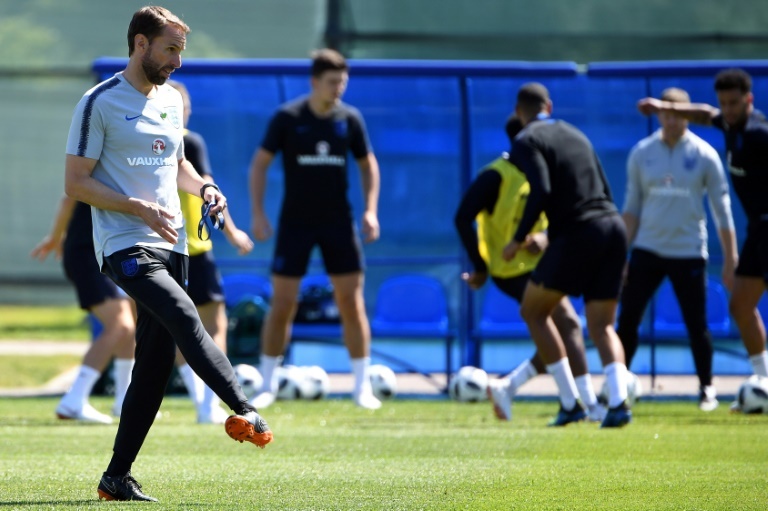 "I might not be celebrating any goals as athletically in future," joked Southgate, in a statement from the Football Association after being treated in hospital near England's training base in Repino, 45 kilometres north-west of Saint Petersburg. "The doc has made it clear that punching the air is not an option." England have been blessed by a lack of injuries in the build-up to their bid to end a 52-year wait to win a major international tournament. And Southgate said he was happier to take the blow rather than one of his players. "It is better this is me than one of the players," he added. "I am just a bit gutted because I was on for my record 10k time!" England's campaign continues on Sunday against Panama.